What’s a girl to do with a big bowl of peppers? Dehydrate them, of course! 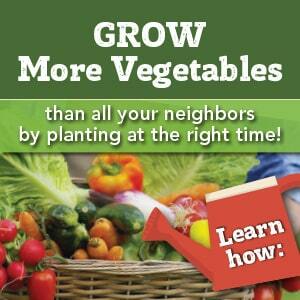 It’s easy to do, but you should keep a few tips in mind. Wash your jalapeños, cut the stems off, and then cut the peppers in half the long way. Use medical gloves (I like these) if you think you might rub your eyes or nose. You really don’t want pepper juice in your eyeball. 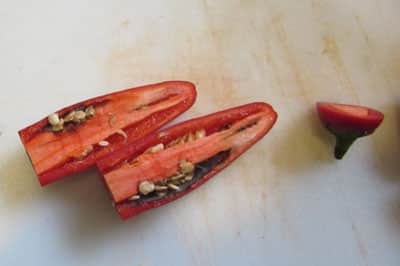 Some folks dehydrate their peppers whole, but I cut mine in half because you never know when you will find one with mold inside. If you dried this whole, you’d never know the mold was there–and you sure don’t want to eat that. I used my Nesco dehydrator instead of the oven, because it works at a much lower temperature than my oven will go. 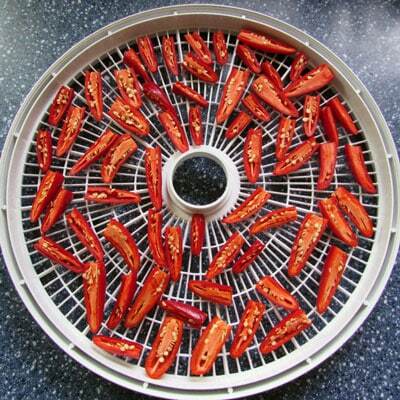 It helps to spray the dehydrator racks with a bit of cooking spray–you don’t need much. Place the jalapeno peppers, cut side up, on the trays. Don’t pack them in, but allow a bit of space in between. 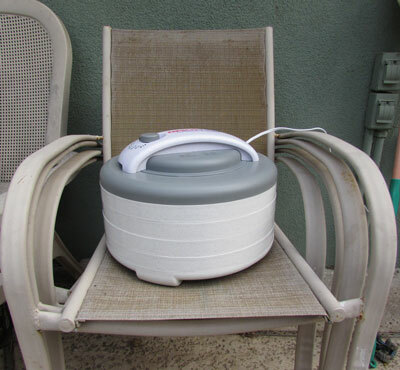 Once your dehydrator is loaded up–for the love of all that is holy–put it outside and turn it on. Believe me when I say that you don’t want jalapeño clouds wafting through your house for hours. 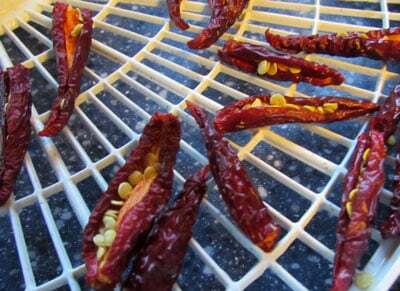 Dehydrate your peppers at 135F for 6-8 hours. You’ll know they’re done when they snap instead of bend. You can grind them in a coffee grinder (I like this one) or store them whole in a canning jar. Use your dehydrated jalapenos to add a bit of spice to Homemade Taco Seasoning Mix, Crockpot Refried Beans, or Homemade Chili Powder. 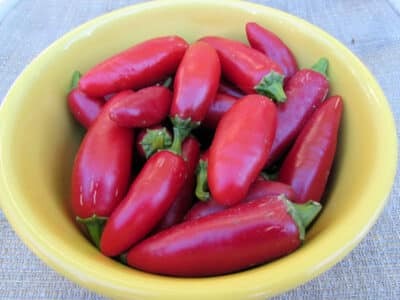 How do you use jalapeños? Do you have to do them when they’re red? Mine are green. I just have so many and I heard a coworker saying she dehydrates them and then crushes into flakes. You can do them GREEN! I have several stages of colors that I have done from green to “brown” to red.